You read that right: Skip School or Starve! Sound a little drastic? Maybe. But you’ll probably think that’s tame compared to the editorial I found at Las Vegas Review-Journal.com. The real title of the piece by Vin Suprynowicz is called: Time to separate school and state. Yeah… we’ve heard it over and over again. Old news. Well read this in its entirety below, and let me know what you think. In my opinion, he’s setting us up for accepting the idea of what I’ve been calling the Welfare Schools of the future. Essentially, the state will either have to crack down and force everyone into state institutions called schools, or they will have to allow people to simply leave and find their own means of gaining knowledge. This will leave, in the buildings we now call schools, thousands and thousands of children with parents who either can’t afford or can’t be bothered to provide educational opportunities for their children, outside of the instruction/indoctrination provided by the State. “Last month the education press reported the amazing news that children schooled at home seem to be five, or even 10 years ahead of their formally trained peers in their ability to think. “Schools were designed … to be instruments for the scientific management of a mass population. Schools are intended to produce … formulaic human beings whose behavior can be predicted and controlled. There’s a lot more. You can find it easily online. I’m just trying to imagine the men with the bayonets explaining to the residents of Barnstable, back in 1880, “See, when Alexis de Tocqueville toured the United Stated in 1831, he reported our American working class were more literate, better read, more up-to-date on the affairs of the day than those of any European nation. But we’re here to force you to give up the voluntary, community-based schools that accomplished that, and instead herd your kids into tax-supported, coercion based, collectivist government schools on the Prussian model because a bunch of Ph.D.s think it’s a better way for government to control the masses. The premise was that government could do the job better, if they could just wrest those kids away from the bad influence of their parents. Yet now they explain they’re failing because “The parents aren’t doing their part”! This is like the Khmer Rouge saying their revolution couldn’t succeed until they killed every Cambodian who knew how to read, and then whining that of course, things aren’t working out: those darned educated elites refuse to do their part! In fact, we all know the Pilgrims were starving, back in 1622, thanks to similar collectivist notions. Prosperity only came when Gov. Bradford authorized private gardens, with each family allowed to eat what they grew, and those who didn’t work condemned to starve. Once they did this, no one starved. They voluntarily worked. Since the “collective obligation” paradigm has failed so utterly in modern American schooling, as well, let me propose a new one: We have no obligation to educate anyone’s offspring but our own. In fact, while we are, of course, free to indulge our instinct to charity by offering to voluntarily help fund the schooling of orphans and such, the nation will again thrive only when we realize this is a competition. 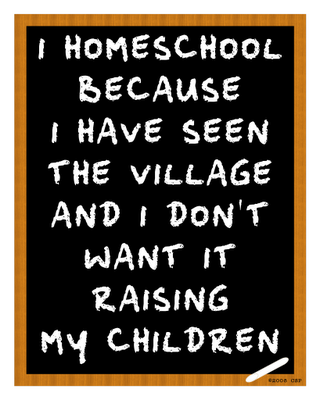 I have a vested interest in seeing my own children receive an education. Meantime, I hope all you deadbeats out there don’t do a thing to educate your kids, because that will reduce the competition for my kids. This is not an hereditary elite, but an equal opportunity meritocracy. Learn now or starve later. The argument will be offered that the pathetic unmarried welfare mom will have no ability to fund her own kids’ educations, even if we allow her to keep the money she’s now spending in sales and property taxes (yes, renters pay property tax, even if it’s not itemized) since the father is a long-absent crackhead. Why couldn’t it work that way again? Because minority women, unlike Anglo women, are incapable of figuring this out for themselves? Vin Suprynowicz is assistant editorial page editor of the Review-Journal, and author of “Send in the Waco Killers” and the novel “The Black Arrow.” See www.vinsuprynowicz.com.